WITH only a few more days before the supposed completion of its first phase, work on the new Cebu City Medical Center (CCMC) was suspended on Mayor Tomas Osmeña’s orders to pave the way for some major changes in the structural design. The suspension will be for 90 days. 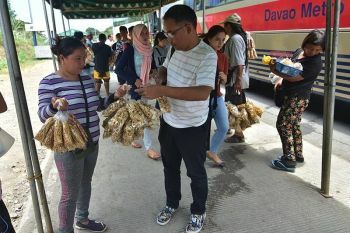 While this developed, the Department of Engineering and Public Works (DEPW) also issued a show-cause order requiring the contractor to explain a delay in the construction works. In a memorandum, Osmeña said the temporary suspension of the civil work is appropriate to prevent wasting funds, while the plans and design of the building are adjusted to comply with requirements set by the Department of Health (DOH). The memorandum was addressed to Catalino Padilla of C.E. Padilla Construction Inc., contractor of the CCMC project, and City Hall’s DEPW. “The CCMC intends to initiate major variations in the scope of the contract during its implementation to suit changes in physical conditions of the hospital to conform to the existing requirements of the DOH,” reads a portion of the memorandum. This is the second time civil works on the project is suspended, after a stoppage order in 2016 that was provoked by the lack of permits. Councilor Mary Ann delos Santos explained that from a 10-storey building in the original plan of the CCMC project, it will be reduced to six floors. Because of the changes, delos Santos, who serves as deputy mayor for health, said there will also be adjustments as to the number of beds to comply with DOH’s requirements for a tertiary hospital. “Some private rooms will be converted to wards to accommodate more patients. There will be a total of 219 beds, which would still be compliant at the tertiary level,” she told SunStar Cebu. A tertiary level hospital needs to have 150 to 200 beds, the councilor said. This is the third time changes in the plans for the CCMC building are being introduced. The project was awarded first to C.E. Padilla Construction Inc. in July 2015 with an approved contract of P514 million but was later changed and increased to P564 million, due to some changes in the scope of work. City Engineer Kenneth Enriquez said that the City sent a copy of the memorandum and show-cause order to C.E. Padilla Construction Inc. last May 11. “At present, we expect that all construction works in the area are suspended effective May 11,” she said. Enriquez said she had to issue a show-cause order to the contractor because of a delay that the project has encountered. As of March, C.E. Padilla Construction Inc. had incurred a 23 percent slippage, which means that they were behind schedule. The target completion date for Phase 1 of the CCMC building was supposed to be this Sunday, May 27. 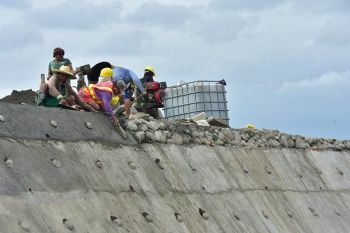 “Since we issued the show-cause order last May 11, it is really impossible for the contractor to finish the works in 16 days before the May 27 completion. Based on our inspection and monitoring, they were still working on the sixth floor of the project. The work of the contractor is really slow,” she said. The -23 percent slippage is higher than the -15 percent standard of the Department of Public Works and Highways. The matter, Enriquez said, can be a basis for the City to terminate the contract. In 2014, former mayor Michael Rama ordered the demolition of the old CCMC building after it was declared unsafe following the 7.2 magnitude earthquake that hit Cebu and Bohol in October 2013.